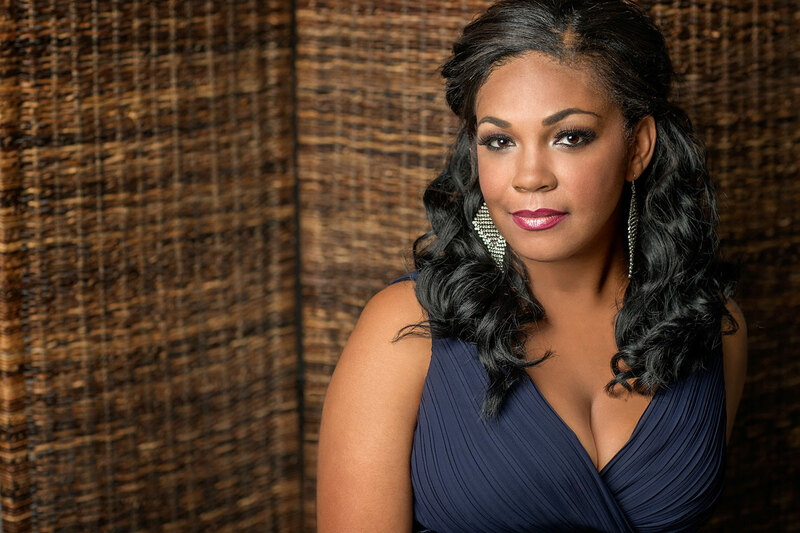 Janai Brugger will soon make her debut at Lyric Opera of Chicago in the role of Liù in Puccini’s Turandot. Janai will be playing the role for the five performances in January 2018 (Maria Agresta portrayed Liù for the December performances). 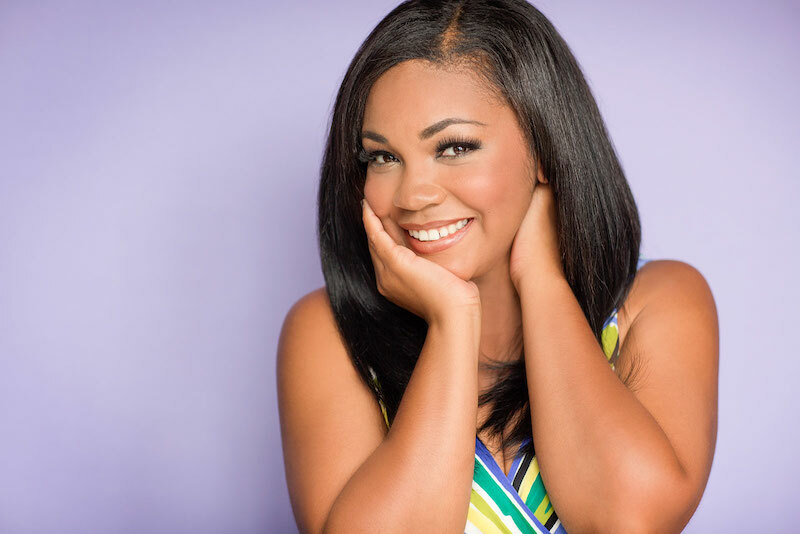 The Chicago-native has been described as “gifted with a supple, beautifully shaded lyric soprano.” I am thrilled that Janai was willing to answer a few of my questions about Liù, her voice, and the other exciting performances she has in store for Chicago audiences while she is here. In January, you’ll be taking over the role of Liù in Lyric Opera of Chicago’s Turandot. I know you’ve performed the role many times, but how do you feel about taking over a part halfway through a run? What are the challenges inherent in doing so? I have sung Liù many times which does help in situations like these where I’m coming in halfway through. So there is comfort in knowing that I know the role really well and have developed my own subtext and emotions with the character. I guess the challenges that come with joining midway through is that you don’t get much time on the set or to rehearse with your colleagues. I’m one of those people who loves to rehearse and make connections with everyone I’m working with. When you have lots of time that becomes really special and you start to develop special moments between each other’s characters. Compared to Turandot and Calaf, Liù is an immediately loveable character, and also one who possesses a tremendous amount of strength. Where do you think she gets her strength from, a trait that even icy Princess Turandot admires? Liù is definitely one of my favorite roles to sing not only because of her glorious music, but because of her strength and how unselfish she is. She puts everyone’s needs before her own and has this nurturing element to her, which is why I think people relate to her and love her right away. Her first entrance in the opera is during all the chaos of what’s happening, it’s scary and dangers are everywhere, but she comes in leading an old man and acting like his protector in an unknown world to her. We don’t know exactly what her story is when she sees Timur again, but I imagine she’s been leading a rough life and that will to survive and help those around her, especially those who can’t help themselves, is what gives her the strength to carry on. Also, because she knows what love is and what it means to truly love someone, she gathers strength in that as well, which is why her sacrifice in Act 3 is so powerful. You describe yourself as a light lyric soprano. Do you think Liù is a light lyric role? Well when comparing her to Turandot she is definitely a light lyric role [laughs]! I wouldn’t say she is a light lyric necessarily. She needs some power and strength in the middle voice, especially for her 3rd act arias. It is Puccini, which means big orchestration, lots of lyrical and legato singing and full of passion, so you want to be able to be heard well over that and carry throughout the house without pushing. I see that you are from Chicago! How does it feel to be returning to your hometown and performing on such a grand stage? Words cannot express how excited I am to be home and to be making my debut here! It’s been a dream of mine since my career started and now that it is finally here I’m just overwhelmed with emotion. All of my family are here in Chicago and most of them haven’t been able to travel to see me perform, so this is wonderful that my family will be there. I checked out your schedule of upcoming performances. You’re performing in the MLK Tribute concert in Naperville, IL on two consecutive days between two performances as Liù! How do you do it? Do you worry about over-exertion? Luckily I have sung the Ask Your Mama music before and it fits my voice well. It’s not as demanding vocally, as say Liù is, so that helps. I always try to sing smart, meaning, knowing where I can give a little more and when to not over do it so that I don’t tire myself out. I also rest in between performances and try not to talk as much. Tell me a bit about Ask Your Mama, the work you’ll be performing at the MLK Tribute concert. I’m completely unfamiliar with it. I see that it’s only been performed three times in its history. Ask Your Mama is based on the 12 poems written by Langston Hughes, and my wonderful friend and amazing composer Laura Karpman took on this quest to set it to music. It’s beautiful, powerful music and helps bring to light and tie together what Langston Hughes was talking about back then with race, especially with all the tension that is going on in our country today. I read an interview you did with Opera News back in 2015. When asked about your dream role, you said, “I would totally sing Tosca, but that is a role that I should not ever sing until I’m at least fifty. It’s my favorite opera and my favorite character, and I would love, love, love to sing it. But, it’s definitely not happening any time soon.” Why did you say you’ll need to be at least fifty before you take on the role? Is that still your dream role? [Laughs] I may have exaggerated that a little bit when I said I’d need to be fifty years old. It’s a big sing and I would like to have a lot more full lyric roles under my belt before I try and tackle Tosca. But I’m optimistic that it’ll happen somewhere in the near future. It’s definitely still one of my dream roles! Let’s say it’s a Saturday night and you have no obligations. Where would someone be able to find you? What would you be doing? When I’m not performing I am at home with my husband and our 4.5 year old son. I love being with my family and spending quality time with them. Saturday nights for us could be anywhere from going out and exploring the city to cuddling up on the couch and watching a movie together. 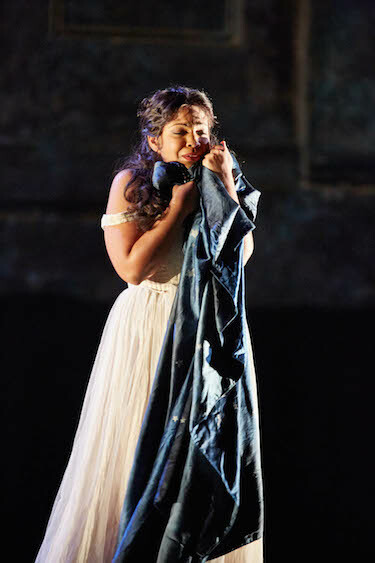 The thing about opera that touches my soul is that it’s just the ultimate expression of passion and storytelling!